(i) Kolkata based BCPL Railway Infrastructure Limited (BRIL) was Incorporated in 1995. 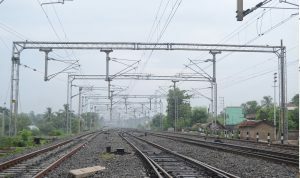 BCPL Railway is engaged in the field of Railway Infrastructure Development involving Design, Drawing, Supply, Erection, and Commissioning of 25KV, 50Hz Single Phase Traction Overhead Equipment. (ii) The key clients of the company include various zones of the Indian Railways like Eastern Railway, South Eastern Railway, South East Central Railway, Northern Railway, East Coast Railway, North Frontier Railway, East Central Railway, Central Organisation For Railway Electrification (CORE) as well as large Public and Private Sector Undertakings like RITES Ltd., Durgapur Projects Ltd., Essel Mining Industries Ltd., Adhunik Group, Usha Martin Industries Ltd, Jindal Steel and Power Ltd., Rungta Mines, Haldia Energy Limited, Electrosteel and many more. (iii) The company started its business as a Civil Contractor for the Indian Railways but diversified into electrification in the middle of the 90’s. 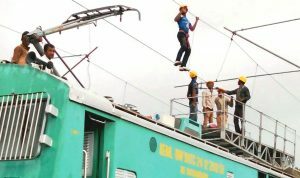 Ever since the company has kept its focus on the Electrification sector of the Railways keeping in view the vast scope of work in the existing and the untapped areas. (iv)The total Revenues of the company stood at Rs 50.63 Cr, Rs 34.98 Cr and Rs 25.73 Cr for the fiscal year 2018, 2017 and 2016 respectively. The PAT was Rs 4.04 Cr, Rs 1.27 Cr and Rs .96 Cr for the fiscal year 2018, 2017 and 2016 respectively. Promoters of BCPL Railway Infrastructure IPO Company are: (i) Mr Jayanta Kumar Ghosh (ii) Mr Uday Narayan Singh (iii) Mr Aparesh Nandi (iv) Resilient Exports Pvt Ltd. There is no peer to compare with as per DRHP. 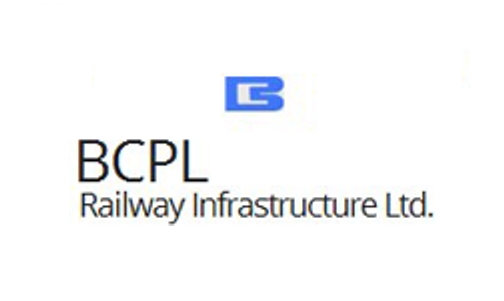 Listing review – BCPL Railway Infrastructure listed today +2.86%..
Based on the subscription figure this IPO can be a good candidate for listing gains. The Company has ROE of 10% and ROCE of 19.3% in FY18. The Company has a strong Balance Sheet. 4. The Long-term debt is reducing year by year. 5. The Company has manageable Receivable days of 55 in 2018. The Company has a setback in the year 2015-16 due to a decrease in operational activity of the company. (i) As per DRHP Their Group entity, D.S Engineering in which the promoters have an interest is doing the same business as BCPL Railways. So in future, there is no guarantee that conflict will not arise in distributing the business among the companies. (ii) The business in which the Company operates is highly competitive where the competition is very tough from organized and unorganized players. Valuation of the Company- Cheap or Costly? Conclusion: The Company has reasonable valuations. Conclusion: The Company has almost debt free. The Long-term borrowing has also reduced significantly in the last 3 years from 3.54 Cr in FY16 to 58.91 Lakh in FY18. (i) The Company has an Excellent record of Project Execution. (ii) The Company has experienced Promoters and Management. (iii) They have satisfied chains of vendors. As per DRHP, no listed peer is available for comparison. 1. 25 KV A.C., Single phase, 50 Hz, Traction Overhead Electrification Work in Khana. 2. 132/25kV Traction Substation work at Rampurhat and Dubrajpur in Khana. 3. 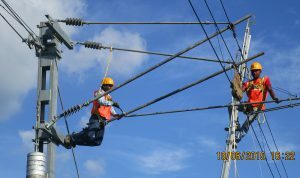 Design, Supply, Erection, Testing & Commissioning of 25 KV, 50 Hz, Single Phase, Electrification Works. Conclusion: The Company has a very good list of projects in their kitty.